Kempo24 is an apparel, accessories, and home goods online store that ships from two locations in the US and from Latvia in Europe. They specialize in mostly one or two color designs with a graphic and some text. We truly believe in the transformative power of illustration and design and their ability to reach people all over the world. We want to remind about your childhood, make you smile or even reconsider a view. Two 100% black cotton t-shirts arrived in a plain white mailer a few weeks ago. 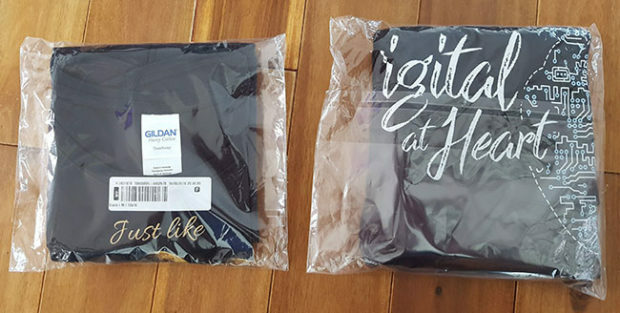 The “Just like the moon” t-shirt is a two-color (maybe) print on a heavy cotton t-shirt by Gildan and the Digital at Heart design is on a light cotton t-shirt by BELLA+CANVAS. The print on Digital at Heart is light and soft in a white and blue ink. They were individually wrapped. 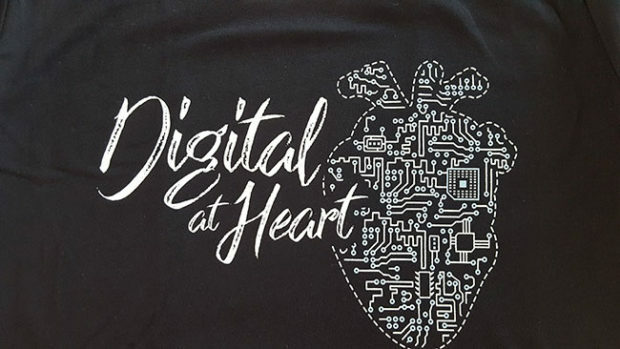 The Digital at Heart design has the eponymous phase in a stylish white typography on the left and a circuit board-inspired heart image on the left. You know, where the heart is. It’s a clever design and well executed even if it doesn’t call out to me. It is something that I might wear but probably not something that I would buy. 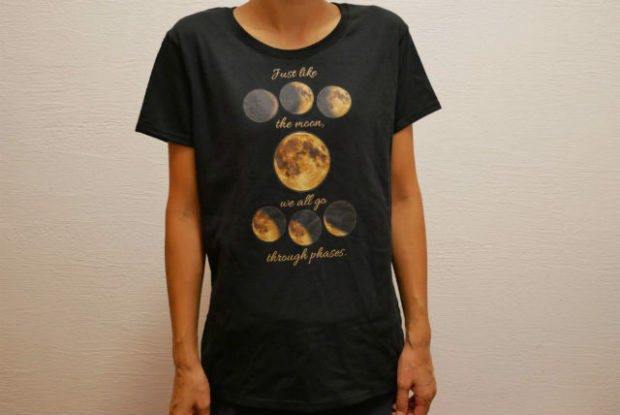 The Just like the moon t-shirt shows different phases of the moon depicted in an almost golden ink interspersed with the sentence: Just like the moon, we all go through phases. 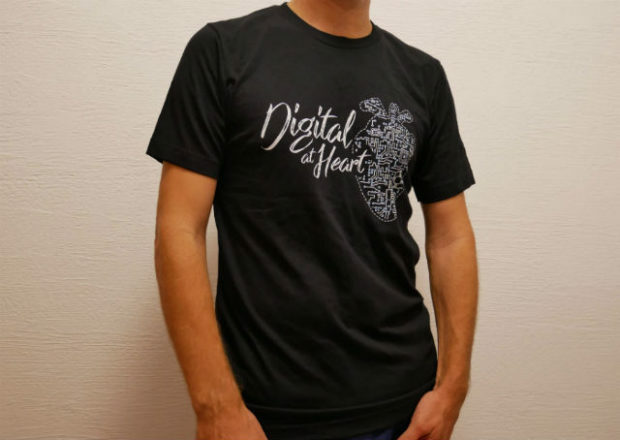 This one doesn’t work as well as the Digital at Heart tee and is not really something I would wear. It’s just a matter of taste, of course, and while neither of these t-shirts does it for me I would like so say that the print is soft and impeccable. 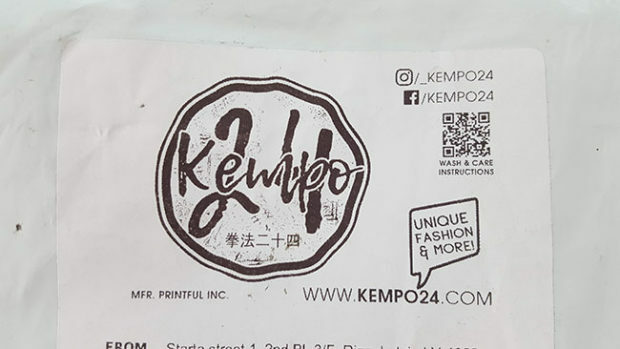 The only Kempo24 branding was a sticker on the white mailer that the t-shirts arrived in. The t-shirts themselves had only the brand labels on the neck of the t-shirt brands BELLA+CANVAS and Gildan. The Gildan is a tear away label. I could talk about the website in detail because I already have done a website review but you might as well just check out the Kempo24 Website Review. There have been a few changes since I last looked but they are restrained by both the shop platform and the chosen theme. At less than US$20 per t-shirts, I think that it is fair to say that they are a good deal for original shirts that are mostly not available anywhere else. While these two t-shirts are not to my taste there are plenty of t-shirts on Kempo24 that are just my style. There is a variety of themes to cater to most interests and all the t-shirts are available in a selection of colors. They are reasonably priced t-shirts with impeccable prints on quality material. Take a look for yourself.